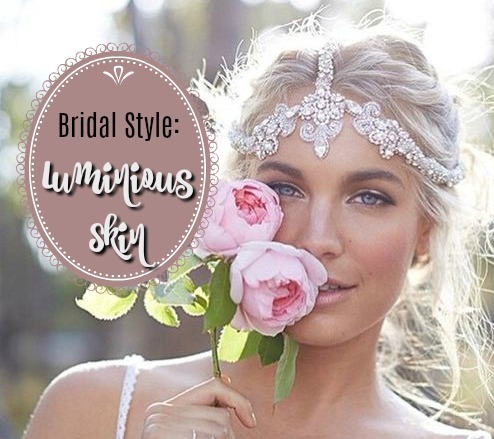 As a bride we know you want a glowy, fresh complexion for your wedding day, right? And, starting with luminous skin will make any makeup you apply on your special day look even better. So, we’ve sourced some fabulous tips to get your face in tip-top shape! Start exfoliating several months before your wedding to get truly radiant skin. The best exfoliators contain lactic acid, like DR. BRANDT SKINCARE’s Microdermabrasion Age Defying Exfoliator ($79 at Sephora), a scrub formulated with aluminum oxide crystals and soothing botanicals to polish away dead skin cells, provide a radiant, healthy look, and smooth skin’s texture. You’ll be amazed at the maximum results you’ll achieve in minimal time. Want even better results? Visit a dermatologist where you can get you major improvements for your skin, since their products contain a higher concentration of glycolic acid than at-home treatments provide. Whatever you put IN your body, shows on the OUTSIDE. So it makes sense to detox your body to help eliminate any toxins and thereby benefit your skin. The best ways to clean up your interior? Start by drinking tons of water each and every day. Fill up the crisper in your fridge with lots of fruits and veggies, and nosh on them every chance you get. Those nutrients will save your skin! Cut back on everything fun including sugar, salt and alcohol. Hey, it’ll be worth it! (And we did just say “cut back,” not “eliminate.” You still got to enjoy life!) If you want to get real serious about detoxing, we suggest juicing. Juicing for Beginners is a great place to start. Eat your greens, drink your water and cut back on the margaritas to achieve a naturally beautiful face for your fiancee to adore! Achieve the “lit from within” look with the help of radiance-enhancing makeup products. Start by applying an illuminating cream under your makeup, like Becca Backlight Filter Primer ($38 at Sephora). Use TARTE Water Foundation Broad Spectrum SPF 15 – Rainforest of the Sea™ Collection for a glowy and flawless look lasting for up to 12 hours. Finish with some bronze contouring, a little rosy blush and some illuminator swept across the tops of your cheekbones. Or better yet, find a local makeup artist to transform you into the very best version of yourself. In Knoxville we recommend Bangs and Blush, Southern Sirens, or Southern Belle Beauty! All brides glow on their wedding days, and you will to. The happiness and joy you feel as you marry the love of your life provides more brilliance to your beautiful face than any tips we dish out ever will. But, a little prep never hurt.